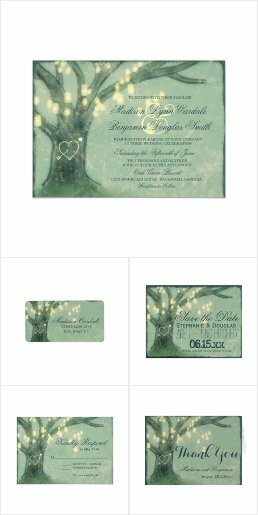 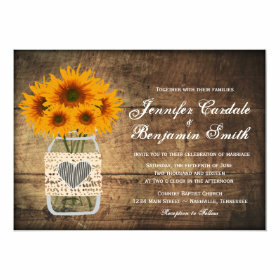 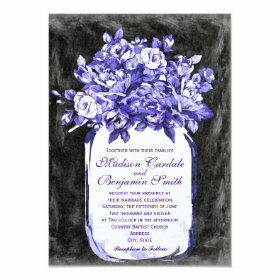 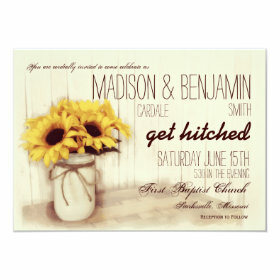 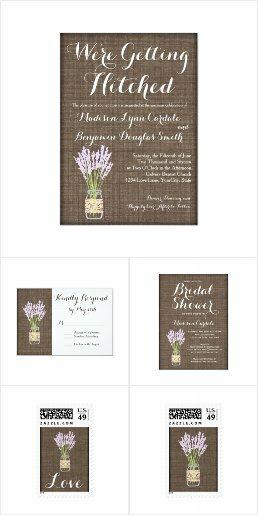 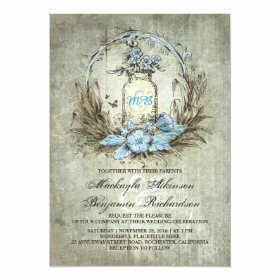 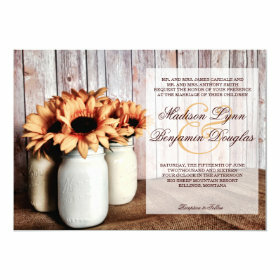 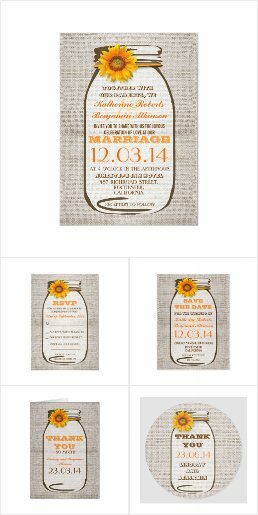 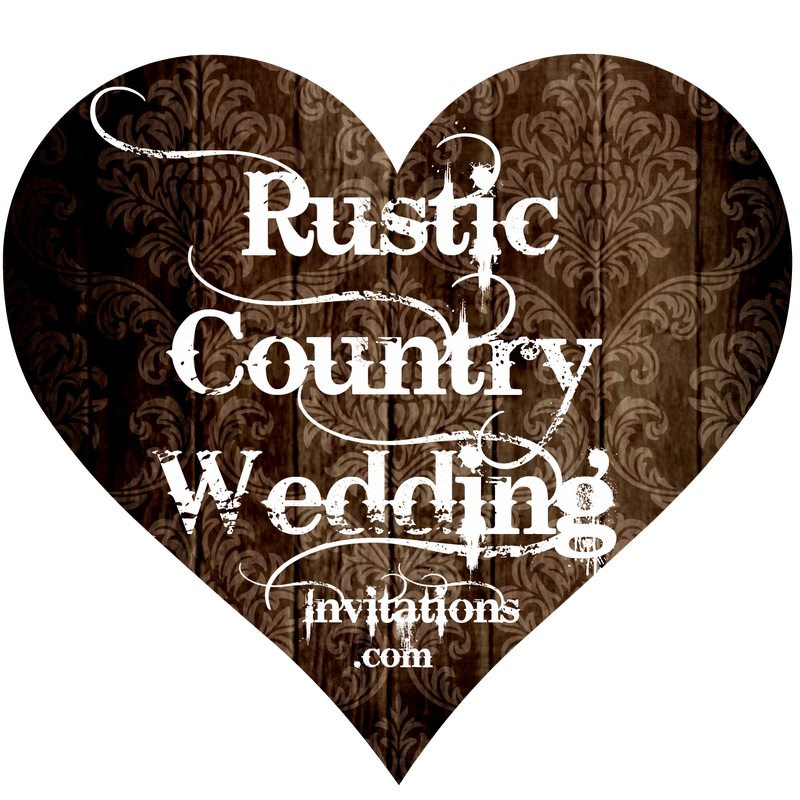 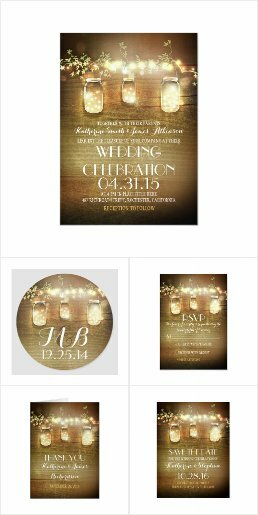 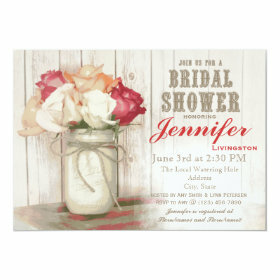 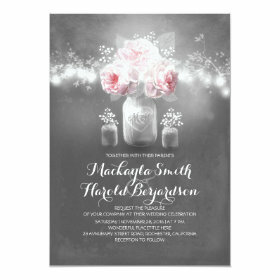 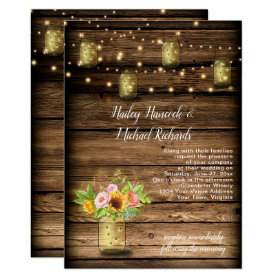 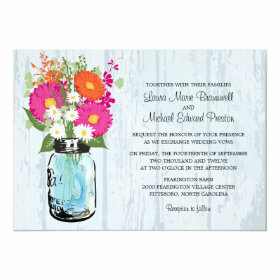 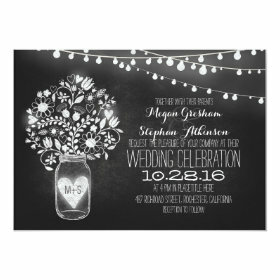 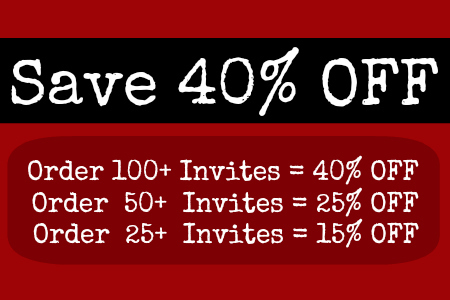 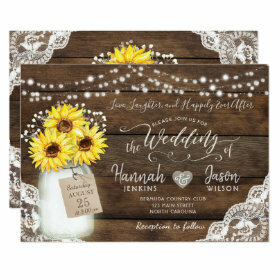 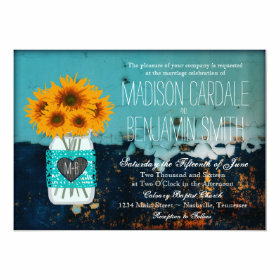 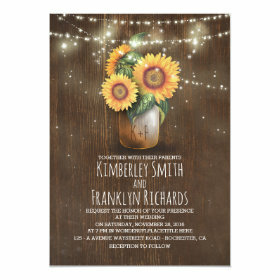 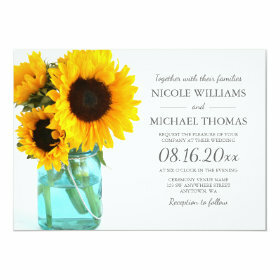 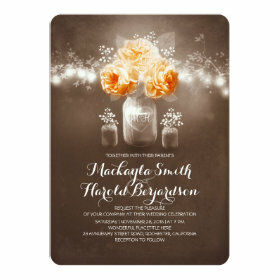 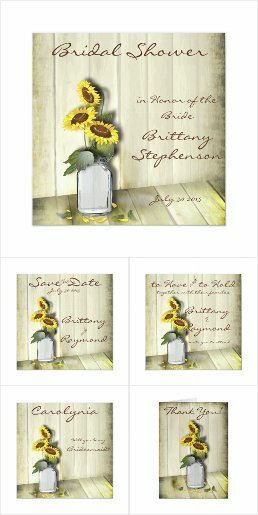 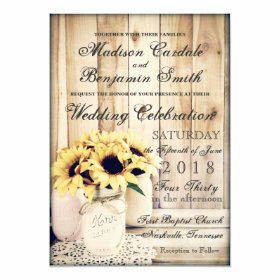 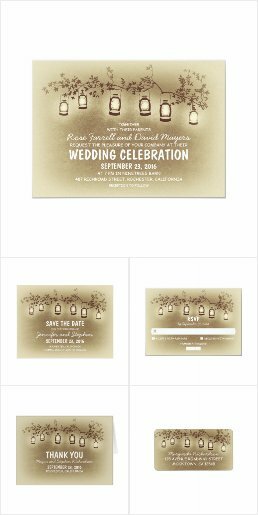 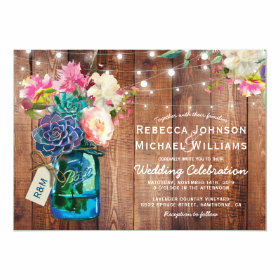 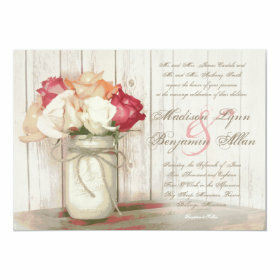 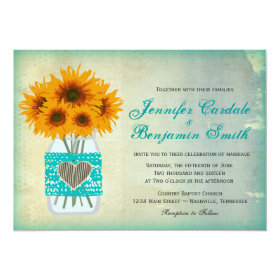 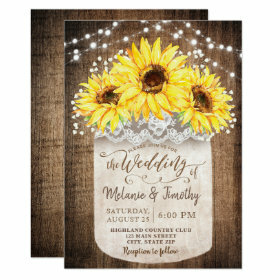 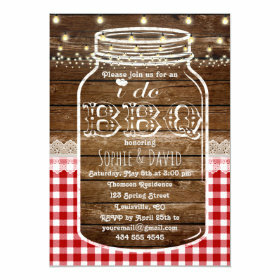 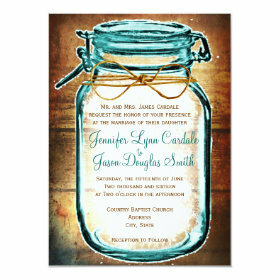 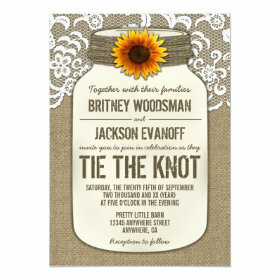 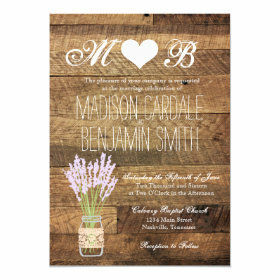 These mason jar wedding invitations have a variety of mason jar designs. 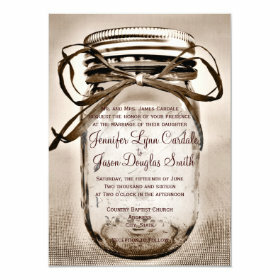 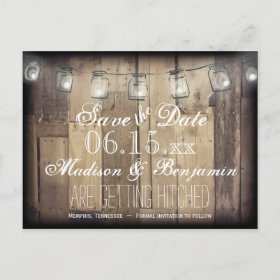 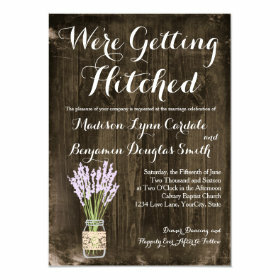 Some are line art drawings of mason jars and others are photographs of mason jar wedding decor. 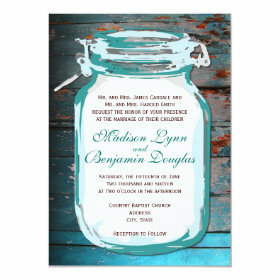 These would be great for brides who plan to use mason jars in their weddings and wedding receptions. 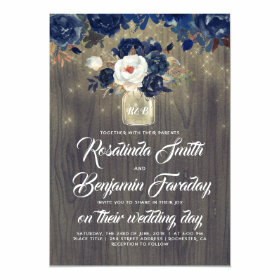 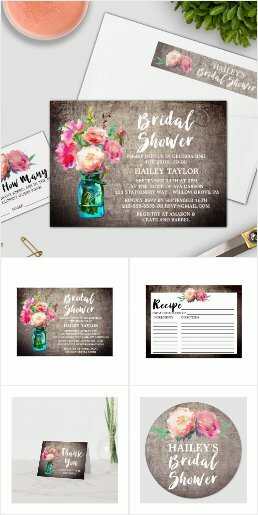 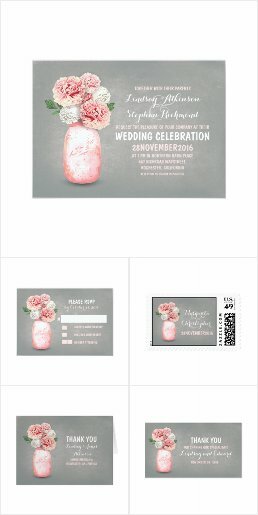 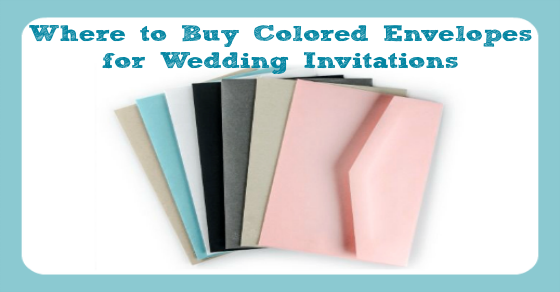 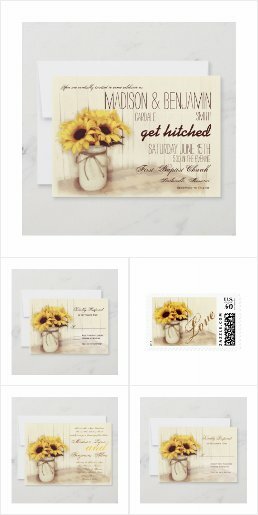 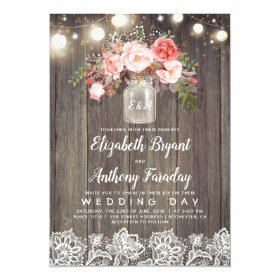 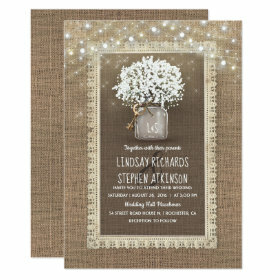 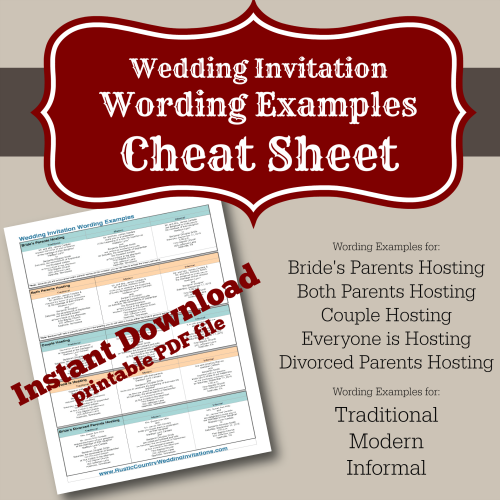 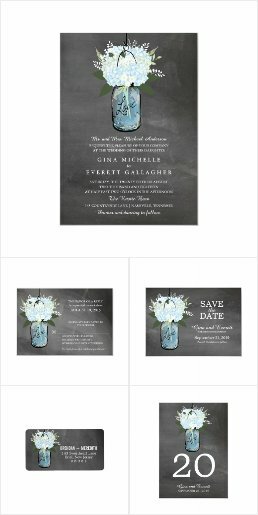 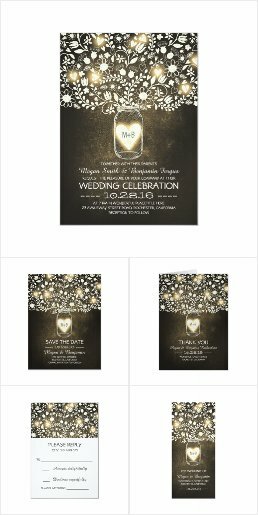 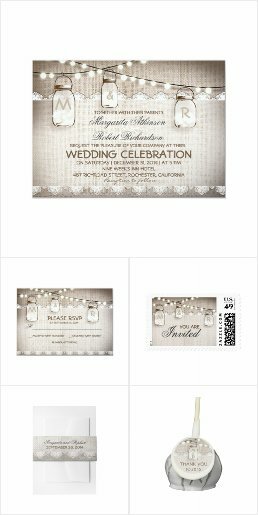 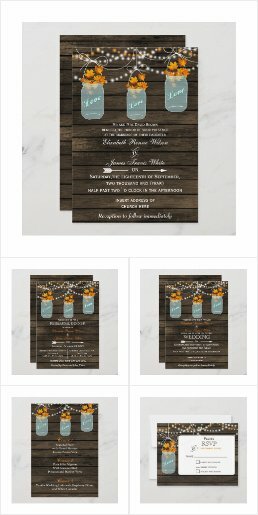 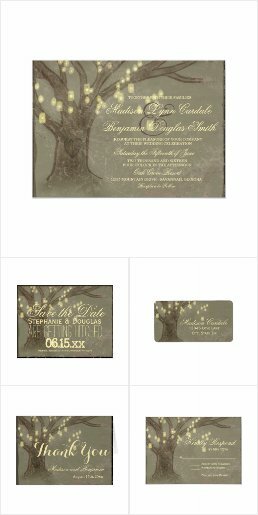 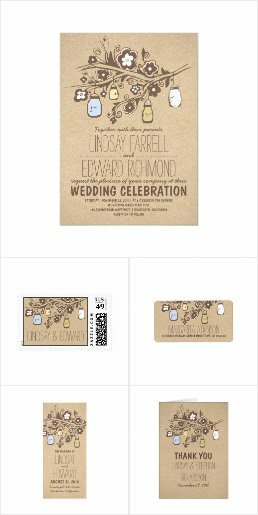 Go ahead and SHARE these unique wedding invitation with family and friends on Facebook, Twitter, Google+, and start a Pinterest Board of your favorites! 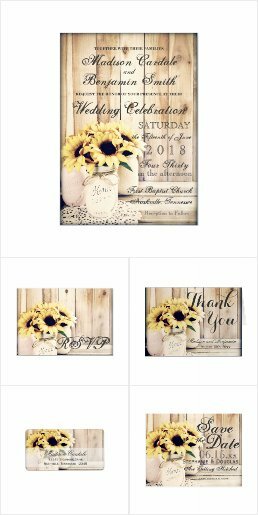 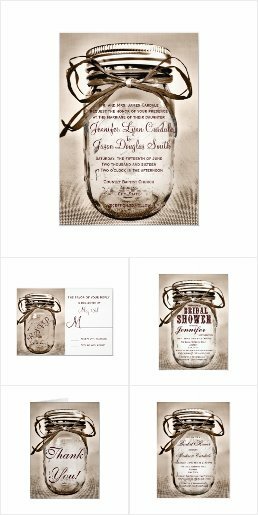 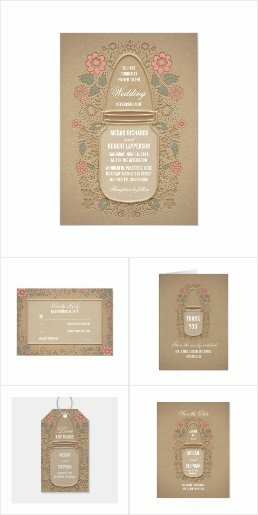 Mix and Match items from these mason jar wedding invitation sets to make the perfect wedding announcement suite. 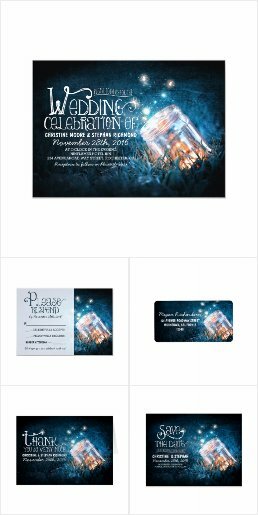 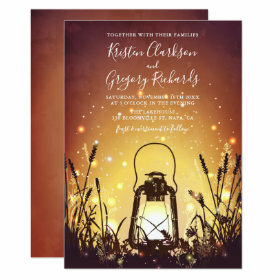 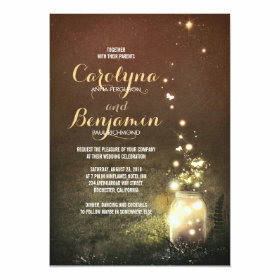 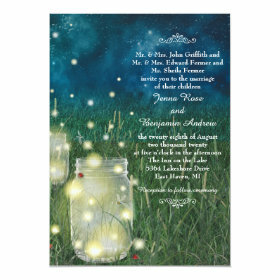 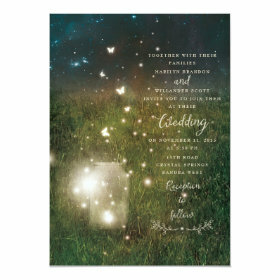 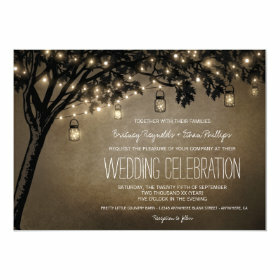 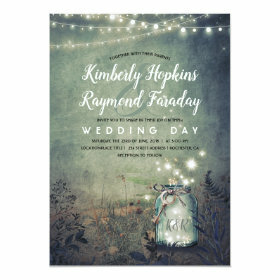 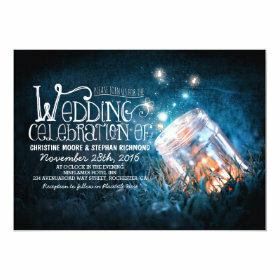 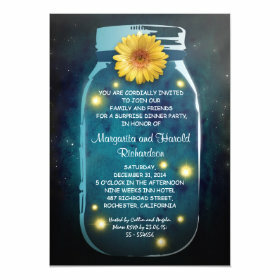 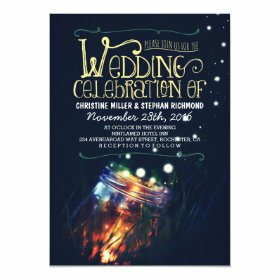 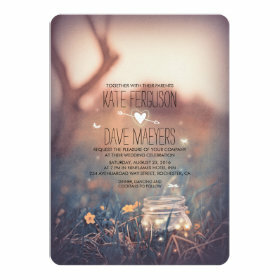 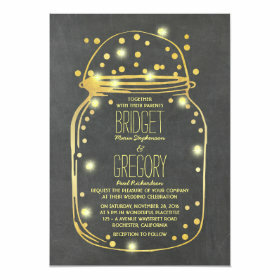 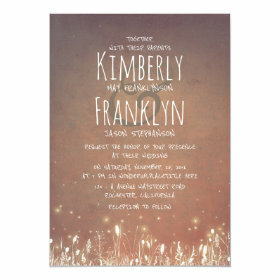 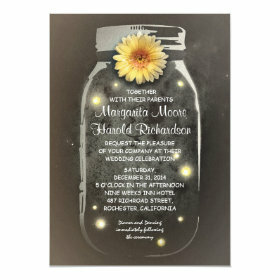 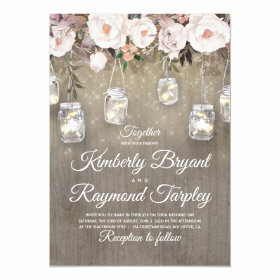 You may also be interested in these firefly wedding invitations with mason jars and fireflies. 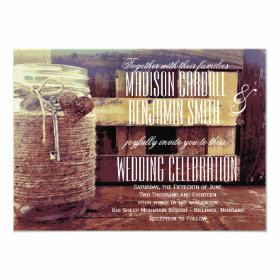 Mason jars have become a popular way to add a rustic country feel to weddings. 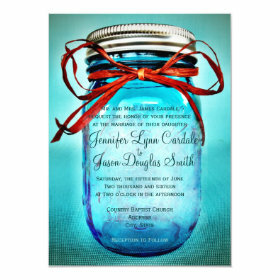 Considering the price of mason jars and candles to flowers, mason jars have flooded the wedding scene as inexpensive wedding decor. 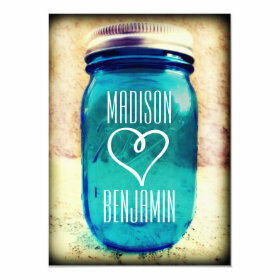 But how can you making mason jar wedding ideas your own? 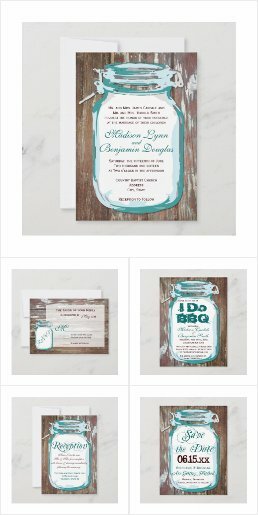 To do this you don't need to invent a never before seen usage. 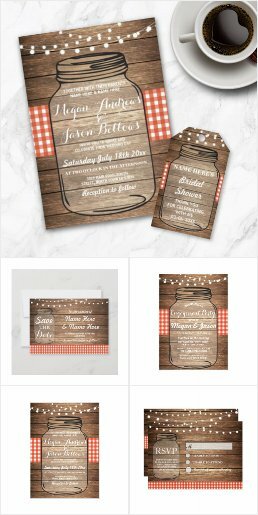 Rather you only need to add your personal style and wedding theme to mason jar wedding ideas that have already been thought of and you'll find the result to be surprisingly one of a kind. 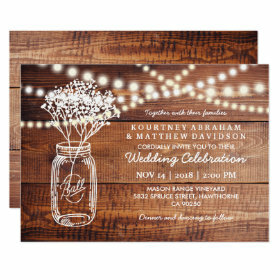 String lights - Attach mason jars to a string of lights for a new twist on an old favorite. 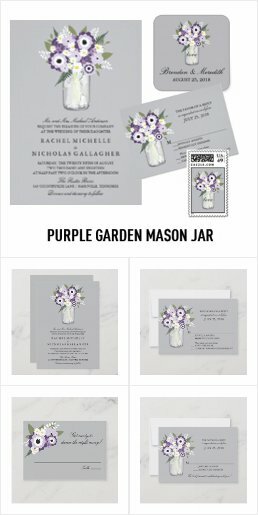 Make this you own with where you put them or the colors. 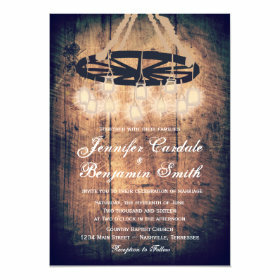 Chandelier - Add a whimsical element with a rustic chandelier. 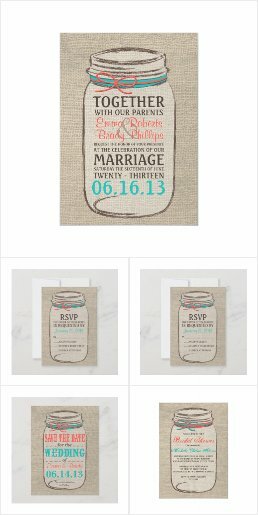 With a frame and a spool of twine, a few simple knots and a few hours can leave you with a masterpiece. 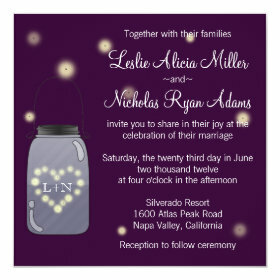 As a personal touch, what can you add to this? 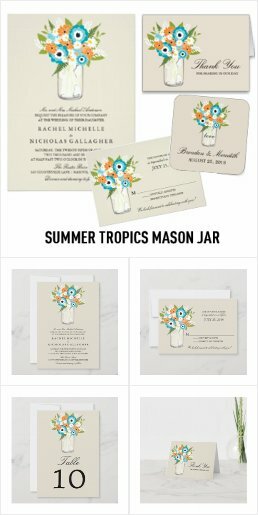 Adding your wedding flowers could be a unique take. 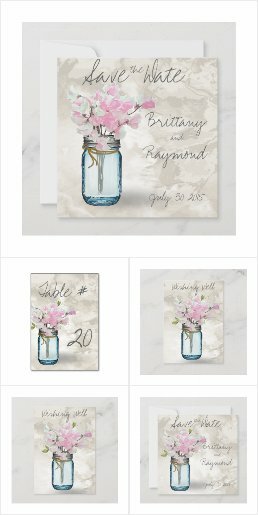 Table Numbers - There are a myriad of ways you can indicatetable numbers on the jar but you can also fill it with flowers or theme appropriate decor! 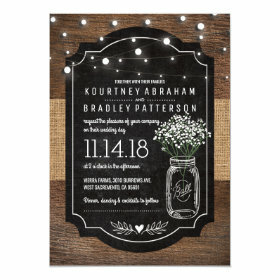 This example uses adorable wooden hearts to mark number. 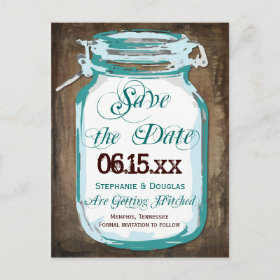 http://pinterest.com/pin/279363983108121823/This picture uses burlap tags for the numbers, sand as a filling, and the glass has been dyed blue, a technique involving food coloring and mod podge, swirled in the inside of the glass and left to dry. 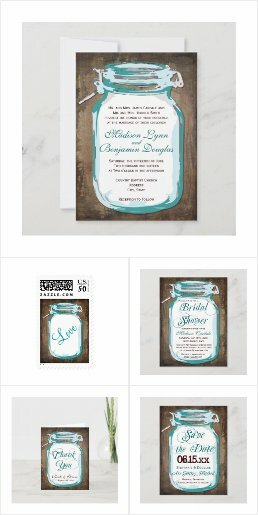 Unique Candle jars - Mod Podge theme appropriate elements to the outside of the jar for light to flicker through romantically. 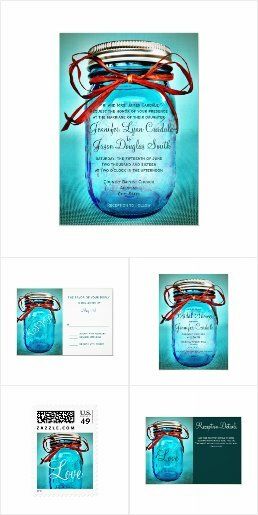 Maps, book pages, and love poems are a few ideas to get you started. 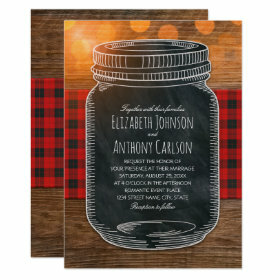 Simply because some mason jar wedding ideas have been thought of already doesn't mean that they can't be very uniquely your own. 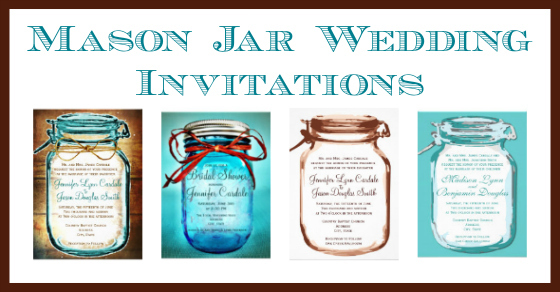 Add your own creative touch to these beautiful ideas to have mason jar decor your guests won't stop talking about, except to admire your dress, of course.